I love the review. I laughed at several things. The rocks not talking, killing the bubbles, and the cat mistaking his name for Lunch. How great. Kids will love this. nice review. make my afternoon. Thanks again! 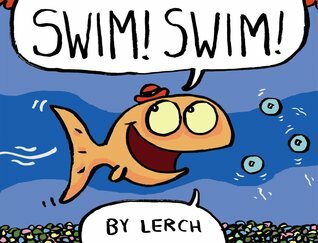 I loved the cat in the story who called Lerch and Dinah, Lunch and Dinner! And I loved the twist in the end, that he really didn’t want to eat them, he just wanted them to be happy and put them in the same tank! Sweet! Aw! How cute! I need to hek this one out. Thanks.